Porsche says 75 percent of the Macans sold last year were conquest sales. STUTTGART (Reuters) -- Porsche said it expects to increase sales to 200,000 cars or more this year, hitting a long-planned target three years early, after posting record deliveries in 2014. Sales in December surged 39 percent from a year earlier to 20,644 sports cars and SUVs, boosting full-year deliveries to a record 189,849, Porsche today. That marked a 17 percent gain on 2013 levels. More than two-thirds of Porsche models sold are SUVs, thanks to its new Macan model which hit dealerships last April, sales data showed. 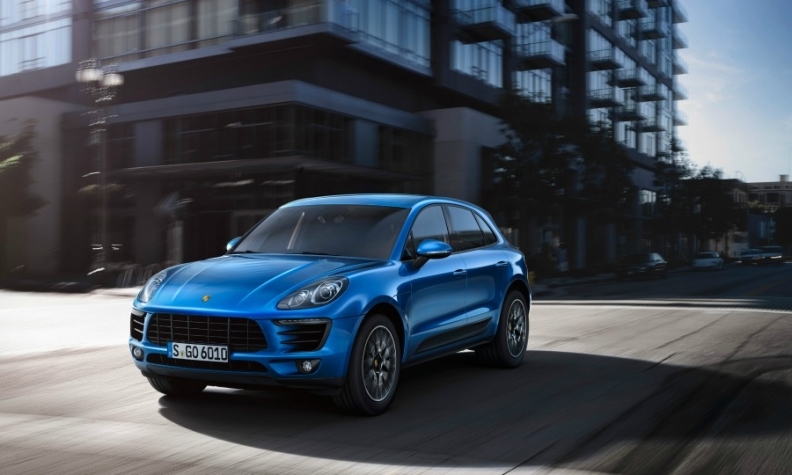 About 34,000 of the 45,000 customers who bought the Macan compact SUV, which is smaller than the top-selling Cayenne SUV, were new to the Porsche brand and previously owned a model from BMW, Mercedes or another rival, CEO Matthias Mueller told reporters at the carmaker's base in Stuttgart, Germany. Separately, 61-year-old Mueller, previously top product strategist at parent VW, ruled himself out as a potential successor to VW group CEO Martin Winterkorn. Winterkorn, 67, stoked speculation about his departure in an interview last October when he noted that when his contract expires in December 2016 he would be 69 and old enough to quit. "I am not a potential successor to Winterkorn," Mueller said. "I am too old for the job. It is no solution for VW to put a 63-year-old at the helm in 2016," he said, adding he had already communicated the message at VW headquarters. Porsche, which contributed a fifth of VW group's nine-month operating profit of 9.4 billion euros ($11.06 billion), could see its operating margin drop to 13 percent of sales temporarily, from about 17 percent to 18 percent, because of spending on fuel efficiency and connectivity, Mueller said. The carmaker is targeting an operating margin of at least 15 percent over a five-year period.